One of the most profound legacies of the twentieth century space age is the realization that Earth impacts by asteroids and comets pose a hazard to civilization. But what is the level of this hazard? Is there cause for any serious concern? On the other hand what is the potential for beneficial use of these objects as future space resources? And are humans destined to visit asteroids as the first “stepping stones” in interplanetary space travel? Join us as Prof. Binzel, one of the world’s leading scientists on asteroids, addresses these questions. 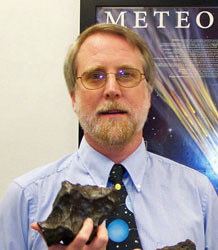 Prof. Richard Binzel is credited with having established compelling evidence linking certain Earth-impacting meteorite types with specific asteroids. 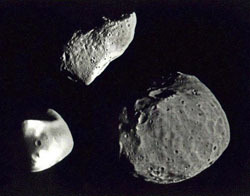 In 1999, Prof. Binzel devised the ten-point Torino Impact Hazard Scale, which assigns a number to the likelihood that a newly discovered asteroid merits public concern. His current research includes ongoing telescopic research with spectral characterization of asteroids posing a potential hazard to Earth as well as those that may be most easily reachable by future robotic and human missions. Currently he serves on NASA’s Task Force for Planetary Defense which has responsibility for assessing possible future asteroid hazards. Richard P. Binzel, Professor of Planetary Science in the department of Earth, Atmospheric, and Planetary Sciences at MIT, is one of the world’s leading scientists in the study of both asteroids and Pluto. Prof. Binzel published his first scientific paper at the age of 15, completed his Bachelor’s degree in physics at Macalester College and received his Ph.D. in astronomy from the University of Texas. Prof. Binzel has written two articles for Scientific American describing Pluto (June 1990) and the origin of asteroids (October 1991). In recognition of his contributions to the field, Asteroid number 2873 (discovered in 1982) bears his name, an honor bestowed by the International Astronomical Union. Prof. Binzel has also been honored with a Presidential Young Investigator award from President George H. W. Bush in 1990 and the Harold C. Urey Prize from the American Astronomical Society Division for Planetary Sciences in 1991. In recognition of his excellence in undergraduate teaching at MIT, Prof. Binzel was named a MacVicar Faculty Fellow in 1994. Prof. Binzel photo courtesy of MIT; asteroid photo courtesy of NASA. Join with us for a “below decks” tour of the famed Armored Cruiser Olympia at Philadelphia’s Independence Seaport Museum. Our tour leader will take us on board the Olympia and speak of the historic events experienced by the ship, officers and crew. Then, in a special tour, we will explore below decks in the engine room and boiler rooms. From the Seaport Museum narrative: “From the moment of her launching in 1892, Olympia was a rare treasure in the U.S. naval fleet, as no sister ships were ever built. She is the world’s oldest floating steel warship and the sole surviving naval ship of the Spanish-American War. Olympia served as Admiral Dewey’s flagship at the Battle of Manila Bay, which marked the U.S.’s emergence as a world naval power. Olympia’s last official naval mission was to carry the body of the Unknown Soldier from France to the United States in 1921. In addition to being a National Historic Landmark, Olympia is also a National Historic Mechanical Engineering Landmark, on the National Register of Historic Places, and part of the Save America’s Treasures program.” Extensive repair and restoration is needed to keep the Olympia afloat as a public display; if funding is not achieved, this could be one of the last opportunities to view this historic ship. Anyone signing up for the tour must be able to climb up and down steep steel ladders. NO ONE UNDER THE AGE OF 14 WILL BE ALLOWED ON THIS TOUR. Arrive by 10:15 at the main entrance of the Independence Seaport Museum on the waterfront in Philadelphia for a tour that begins promptly at 10:30. After the tour, stay to explore the rest of the seaport museum. 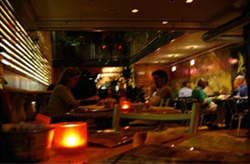 Your Museum entrance fee is included in our tour cost. Important: If you are not able to sign up because the tour is full, email Bob Radcliffe at bobrad1248@alum.mit.edu, and he will see about arranging for a second group on the same day.